Randy Moore is celebrating 30 years at WTVW-Fox 7 this month, and on Friday afternoon, the station surprised him with a reception in his honor. Mayor Jonathan Weinzapfel also joined in the festivities, proclaiming August 27th "Randy Moore Day" in the city of Evansville. I would also like to offer my belated congratulations to Randy. I personally feel he deserves more than just a day to be honored for all he's done for the Tri-State over the past 30 years, and I only hope that he hangs around for another 30 years! POLL RESULTS: Tri-Staters want their RTV back! With the poll officially closed, JDTVB readers from across the Tri-State (and around the country) have spoken: They want their RTV programming back! With 199 total votes cast over the past month, 168 voters (84.4%) said "YES," while a mere 31 (15.6%) said "NO" when asked, "Do you want to see RTV move to another channel?" Of those 199 votes, 116 were cast by voters living in the 30-county Tri-State area. Taken together, here in the Tri-State, out of the 116 votes cast, 99 votes (85.3%) were FOR the return of RTV, while 17 (14.7%) were against it. MONDAY, 2:20 PM: I'd like to take a moment to thank everyone who has sent condolences, thoughts and prayers our way since Grandma passed away on Friday. Your thoughtfulness means more to all of us than I could ever express in words. Grandma's visitation will be Tuesday evening from 4:00 to 8:00 PM Eastern time at the Russell & Hitch Funeral Home in Lebanon, Ind. Her funeral will be held Wednesday morning at 10:30 AM Eastern time at the Lebanon Bible Baptist Church, with burial to follow in the Lincoln Memory Gardens near Whitestown, Ind. I will be back on Thursday. Thanks again, folks. I am eternally grateful to all of you. Late this afternoon, I received word that my grandmother, Venus Newkirk, passed away after suffering a heart attack. She was 85 years old, and we all loved her very, very much. 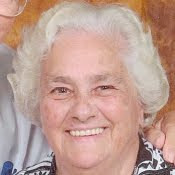 She leaves behind her husband of nearly 69 years, Floyd; four sons; one foster son; and many grandchildren and great-grandchildren. There will be no Weekender or Saturday Special this weekend because my family and I are going to be celebrating my son's birthday beginning tonight. I'm in the process of getting things together now. If I'm back in front of the computer on Sunday, I'll post something then, but just in case that doesn't happen, I don't want to leave you hanging! If you're a customer of NewWave Communications in Southeastern Illinois, you probably noticed a service disruption yesterday. I'm told that a utility crew from Ameren, while in the process of setting a new pole, severed a buried fiber-optic line between McLeansboro and Enfield, and that caused the outage for most, if not all, of NewWave's customer base in the area. Customers were without service for about nine hours before NewWave's folks were able to get everything back up and running again last night. Christian broadcaster WAY-FM has filed an application with the FCC seeking approval of a minor modification to its Henderson translator, W220DV (91.9 FM). The station, which currently broadcasts at an effective radiated power of 10 watts, would be raised to 250 watts if approved by the Commission. But that's not all. If granted, the station's city of license would change to Evansville. And further, it would no longer be a Christian station -- it would change to become a fill-in translator for WKPB (89.5 FM), Western Kentucky University's public radio station that serves the Henderson/Owensboro area. I'll let you know if this one gets the OK.
Will Blockbuster be the next movie rental house to fall? When was the last time you rented a movie in a store? My guess is that if you sat down and thought about it, it's probably been a while. Most of us these days are using Netflix, Redbox or some other means of getting our movies. And that's the problem for places like Blockbuster, Movie Gallery and Hollywood Video, just to name a few. Here in Owensboro, for example, the latter two are already gone. And the Blockbuster store on Frederica Street has a "For Lease" sign in front of it. That may be a sign of things to come, as the Los Angeles Times reports today that Blockbuster is telling the Hollywood studios that it's getting ready to file for Chapter 11 bankruptcy protection, possibly as early as mid-September. I wouldn't be surprised to see the company fold up entirely, as that's what is happening with its competitors. The day of the brick-and-mortar "video store" is just about over, and I think most people realize that. This Saturday, the NEWS 25 Sports Channel continues its live coverage of the weekly big high school football match-ups. This week’s “NEWS 25 Home Team Friday Live” Game of the Week is Reitz at Owensboro. Live event coverage from Rash Stadium in Owensboro begins at 5:00 PM CT on Saturday. The game will also be streamed live online at www.news25.us. 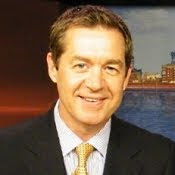 NEWS 25 Sports Director Lance Wilkerson will do play-by-play and color commentary will be added by Mark McVicar. Saturday’s coverage is part of the two-day Independence Bank Border Bowl held at both Steele and Rash Stadiums in Owensboro. During the high school football season through the playoffs, Tri-State viewers who can’t make it to the games will have the opportunity to see match-ups of teams from across the Tri-State live on the NEWS 25 Sports Channel. WPSR (90.7 FM), the EVSC-owned-and-operated station which has been off the air for a few weeks so a new antenna could be installed, is back on the air today following yesterday's FCC approval of its new license. Engineer Dave Hertel turned the transmitter back on yesterday, and his father, Frank Hertel, who was on his way back to Evansville from a job in Missouri yesterday, tells me that the station first came through on his car radio five miles east of Benton, Ill. on Route 14. By the time he reached the junction of Routes 14 and 45, it was all WPSR, and from Crossville east, it was strong and clear. "Now I can say the WPSR has the strongest HD Signal in the Evansville area," Frank Hertel said. And indeed, for the first time, I am able to pick up the station here in Owensboro as well, without much difficulty at all, and that's on the worst radio I own ... with a broken antenna! Ed Henson is a pretty busy guy these days. If you read my previous post, you know that his purchase of WSON (860 AM) was just approved by the FCC, which upon its consummation will bring his holdings in this end of Kentucky to three stations. But that's not all. Now he's buying again. This time around, Henson is seeking FCC approval to purchase an FM translator station, W219CF (91.7 FM, Madisonville), from Hopkinsville-based Pennyrile Christian Community, Inc., for $20,000. As part of the deal, Pennyrile is seeking a displacement of W219CF from 91.7 to 107.3 on the dial, and if approved, the station would then be used to rebroadcast Madisonville rock station WKTG (93.9 FM), which is owned by Sound Broadcasters, Inc. The FCC has approved the sale of Henderson radio station WSON (860 AM). Henry Lackey, whose father put the station on the air in 1941, announced last month that he was selling WSON to Ed Henson's Henson Media. Henson is also the owner of WMSK (1550 AM and 101.3 FM) in Morganfield. Lackey, who now lives in Frankfort, serves as Kentucky's Commissioner of Charitable Gaming, but will remain as a consultant to Henson Media for four years. The deal is expected to be finalized, per FCC regulations, within 90 days. UE students: Want to be on the radio? WUEV wants you! If you're a University of Evansville student and would like to be part of the WUEV radio family, there's good news: They want you to join 'em! The station is hosting a New Staff Call-Out on Thursday, Sept. 2 from 6:00 to 9:30 PM. It'll be held at the station's studios in the Ridgway University Center. For more information, e-mail WUEV station manager Hiram Hoffman at hh84@evansville.edu, or call (812) 488-2022. You can also call general manager Brandon Gaudin at (812) 488-2689. "Tri-State Focus" to explain government reorganization in Evansville & Vanderburgh Co.
WNIN's "Tri-State Focus" news program is tackling a touchy subject that many in Evansville and Vanderburgh County are worked up about right now -- government reorganization. Many people don't fully understand what's involved, but you'll get a "crash course" in what could be coming. The show will also answer questions submitted by viewers. It airs tomorrow night at 8:30 PM on WNIN-HD, channel 9.1. High school football in Illinois kicks off tomorrow, and WSJD (100.5 FM) is getting in on the action beginning tomorrow morning at 8:30 AM with the debut of the "Friday Football Show." Tomorrow morning's guests will be Mt. Carmel Golden Aces head coach Darren Peach and the team's senior captains, Shawn Bumpus and Tanner Crum. But that's not all -- sports history buffs will get an Aces History Lesson from Lee Colvin. Negotiations between Time Warner Cable (which serves a good many subscribers here in the Tri-State) and The Walt Disney Company are said to be ongoing as the companies approach a Sept. 2 deadline to reach a new carriage agreement. If no new agreement is reached, TWC customers could conceivably lose ESPN, the Disney Channel, ABC Family and a whole list of other channels. Today's column in the Courier & Press brings you a lot of information, so be sure to take a look at it! You'll find: The football "war" between NEWS 25 and 14WFIEThe exit of three reporters at 14WFIEWNIN's documentary about Boom SquadAnd there's quite a bit of radio news this week, from sports, to signals, to management moves!I'll be back here, of course, later today with even more, so stay tuned. I've been in contact with Trip Ericson (the webmaster of RabbitEars.info) this evening, and he tells me that Mt. Vernon, Ill. station WPXS, the RTV affiliate for the St. Louis area, which had reportedly switched to Daystar in recent days, is still carrying RTV. Apparently it's true. The digital data feed from the station shows that RTV is now airing on channel 13.2, with Daystar on channel 13.1. Of course, the satellite and cable companies don't get the 13.2 feed -- at least not yet -- so that's why folks aren't seeing RTV. 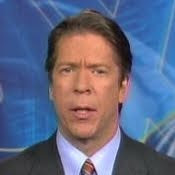 On the national scene today, Fox News Channel's chief White House correspondent Major Garrett announced today that he's leaving the far, far, FAR-right-wing cable news channel after eight years to return to print journalism, a profession he's said to prefer to TV. Garrett, who "never got addicted to television," said FNC head cheese Roger Ailes, has been hired by theNational Journal. Wendell Goler and Mike Emanuel will take turns occupying the seat Garrett now resides in in the front row at White House press conferences, and no one will notice much of a difference. It is still Fox News Channel, after all. Tonight on PBS, "Frontline" brings us an investigation into the actions of police officers in New Orleans following Hurricane Katrina's devastating blow to the city in a special episode entitled "Law & Disorder." Some argue that law enforcement was out of control in the immediate post-Katrina period, and several deaths in particular resulted in a federal probe. This edition of "Frontline" comes as the result of an investigation conducted by the show in conjunction with ProPublica, an independent news organization, and the New Orleans Times-Picayune. I just got word this morning that Jason Addams, who has been program director and afternoon host at WSTO (Hot 96) since 2006, is leaving the Tri-State to take the reins as PD for WBNQ-FM in Bloomington, Illinois. Addams is expected to begin his duties at WBNQ in September. Congrats on the new job, Jason! I know that you will be missed here. There are two radio transactions today in the Tri-State to update you on today. Both have been covered here before, but the FCC has just given its stamp of approval to the deals, so let's take another look. As I told you in early July, Mark and Saundra Lange's The Original Company, Inc. agreed to purchase WTAY (adult contemporary, 1570 AM) and WTYE (talk, 101.7 FM) from Ann Broadcasting of Robinson. That transaction was approved on Thursday. Also approved was Friday's transfer of Vincennes Christian radio translator station W201BO (88.1 FM) from Radio Assist Ministry to Edgewater Broadcasting. No changes are expected, because both RAM and Edgewater are run by the same board of directors. 14WFIE and the Evansville-Vanderburgh School Corporation have entered into a new television agreement, the Courier & Press reported this morning. The contract, which was approved by the school board Monday night, gives WFIE the rights to broadcast five high school football games on 14Xtra (ch. 14.2). Revenue generated from the sale of advertising during the telecasts will be shared equally between the station and EVSC. WFIE's news director, C.J. Hoyt, told me this morning that the station is working to correct the technical issues that surfaced during this past Friday night's game between Jasper and Memorial, and those improvements should be in place for the next game. In addition, EVSC will present a weekly 30-minute program (as part of "Midday with Mike") to give viewers an update on what's happening within the schools. This program will debut on Wednesday, October 6. Commercial sponsors will underwrite the weekly show. For more than 30 years, a five-minute program on PBS stations across the country has encouraged viewers to get outside and "keep looking up" at the stars and planets that surround us in the heavens. Sadly, Jack Horkheimer -- the "Star Gazer"-in-chief -- has died. Horkheimer was 72, and had been suffering from a lung ailment, according to the Washington Post. For 35 years, Horkheimer was the director of Miami's Space Transit Planetarium, where he was noted for creating engaging presentations about the solar system. In late 1976, he began producing the television program, which went national in 1985. Originally named "Jack Horkheimer: Star Hustler," the show's name was changed to its current title in 1997 after viewers complained they looked for the show on internet search engines but were led to Hustler magazine instead! Horkheimer's final show, which is set to air this week, is available on YouTube. As a "peace offering" to the Cincinnati Reds-loving segment of my readership, I have belatedly -- and against my better judgment, being a die-hard Cardinals fan -- added the list of the Reds' Tri-State radio affiliates to the Radio Stations page. It's not a long list; only WSJD (100.5 FM, Mt. Carmel/Princeton) and WAMW AM and FM (1580 and 107.9, Washington) broadcast the games in the Tri-State area. The first battle in the emerging war for live, televised high school sports superiority has been waged. On one side was the pioneer of modern high school sports broadcasting -- the NEWS 25 Sports Channel. On the other side, the challenger: WFIE's 14Xtra. I set up two TVs to watch both games at the same time, and enjoyed both games thoroughly. When the smoke cleared, NEWS 25 came out the winner, but it must be said that 14WFIE made a strong showing. If you're in downtown Evansville tomorrow and can spare a pint of blood, be sure to drop by the studios of WNIN on Carpenter Street between 11:00 AM and 4:00 PM and help ease the blood shortage here in the Tri-State. WNIN and the American Red Cross of Southwestern Indiana are working together for this drive, and they've made it easy for you: If you don't want to stand in line, just go to www.redcrossblood.org and make an appointment. CBS News correspondent Harold Dow, a longtime correspondent for the network's "48 Hours," died suddenly this morning. 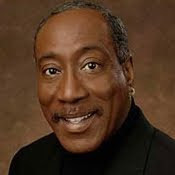 Dow joined CBS News in 1972, and in 38 years at the network, served as a reporter, correspondent and contributor for the "CBS Evening News" and numerous other programs, but it was his 20-year association with "48 Hours" which made him a household name. He was honored for his work with a Peabody Award, five Emmys, and a Robert F. Kennedy Award for his reporting on public housing. Dow is survived by his wife and three children. Part of the reason I enjoy local television -- and weather -- so much is because I was fortunate to have the experience of watching Marcia Yockey when I was a kid. 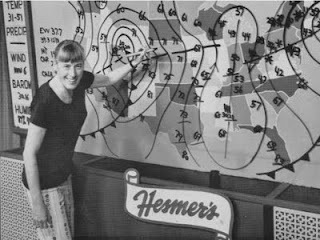 If you're too young to remember her on local TV, you should know that Marcia was the polar opposite of today's meteorologists. Oh, sure, she told us what the weather was going to do, but the fun part about Marcia was that we never knew how she'd do it. Due to preseason NFL football, Fox 7 News' late newscast will air at 10:00 PM CT tonight instead of 9:00. The game airs at 7:00 PM. It has certainly been an interesting week here at JDTVB. From changing faces to football, from radio station upgrades to new DTV stations, we've covered it all. Some of it's been good, some has been bad, but it's all here. As promised, I'm leaving the RTV poll up until Aug. 31, but I wanted to give you an update on how the voting is going. The results, at least thus far, do not come as much of a surprise, at least to me. As of 2:30 this afternoon, there have been 182 votes cast, representing 16 states. Upon further analysis, 117 votes were cast within the Tri-State area, and they break down as follows: Illinois -- YES: 3 votes (75.0%), NO: 1 vote (25.0%)Indiana -- YES: 85 votes (86.7%), NO: 13 votes (13.3%)Kentucky -- YES: 13 votes (86.7%), NO: 2 votes (13.3%)And when you add them all together, it comes out like this: YES -- 101 votes (86.3%)NO -- 16 votes (13.7%)I'll give you another update next Friday afternoon, and we'll wrap up all the numbers on September 1. As you may remember, I told you on Monday that 14WFIE's 14Xtra channel (ch. 14.2 over the air) will also be carrying some high school football games this fall, and the first -- airing tonight at 7:00 CT (8:00 ET) is Jasper at Memorial. 14WFIE sports director Mike Blake is handling play-by-play, and Mater Dei grad Jake Schiff will have color commentary. One important note I did not bring you on Monday is this: Whenever a game is aired on a Friday night, 14 News at 9:00 on 14Xtra will be preempted, and such is the case tonight. For a full list of cable channels that carry 14Xtra, click here for my earlier post. Carmi country station WRUL (97.3 FM) announced this morning that beginning next Saturday, Aug. 28, the "Saturday Morning Sports" show is returning to the air and online at wrul.com. According to the station's Facebook page, they're "working on some details that should make the show more interactive," so stay tuned to the station for that, and of course I'll bring you the details as soon as I have 'em. Are you ready for some Home Team Friday football? Can't watch it on TV? Watch it online! NEWS 25 realizes that not all of the folks who would like to watch tonight's Home Team Friday Game of the Week between Reitz and Henderson County can watch it on TV, so, as they did last year, they're putting the game online. Tonight's game can be found by clicking here. The video player will be up before the game starts at 7:30 PM. And to get a better idea of what's gone into getting ready for tonight -- and this season -- be sure to check out Lance Wilkerson's website. A Castle Rock, Colorado-based group is the latest to file with the FCC seeking a construction permit for (yet another) low-power TV station that would serve Evansville. DTV Enterprises, LLC filed an application with the Commission today, and if approved, the new channel would broadcast on channel 40 with an effective radiated power of 10 kW. The tower on which the station would broadcast is an existing one, located off of Pleasant Hill Road southeast of Hebbardsville, Ky. I'll have more details as this one develops. I've confirmed this afternoon that NEWS 25 Sports Channel's second live televised game of the high school football season will feature the Reitz Panthers against the Owensboro Red Devils. The game will be played at Owensboro's Rash Stadium next Saturday, Aug. 28. Coverage will begin at 5:00 PM CT. 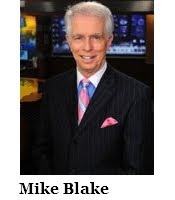 When you think of sports in the Tri-State, many names spring to mind, but one that's synonymous with local sports coverage is the name of Mike Blake. But it's not just Blake's 40-year run as a sportscaster at WFIE that makes him a Tri-State icon. He's also a hero to many for his work with the MDA and countless other local organizations. His dedication to these causes is the stuff legends are made of. And tonight he's being honored at Bosse Field -- a fitting venue -- for his longtime commitment to the Tri-State. Congratulations, Mike. And thank you! There's a very special documentary coming next Wednesday to WNIN. “Boom Squad: a beat in the street” chronicles the story of Evansville’s own performing drum line comprised of at-risk youth. The program focuses on the challenges Boom Squad faces as they teach their students discipline, responsibility and respect along with the cadences used in their performances. The half-hour documentary, produced by two-time regional Emmy nominee Jane Owen and her company One Chick Productions, will air on Wednesday, August 25th at 9:30 pm and Saturday, September 4th at 9:30 pm on local PBS station WNIN (ch. 9.1). Murray State University's low-power Madisonville translator station, W286AM (105.1 FM), may be getting a little more "oomph." The university has filed an application with the FCC that, if approved, would lower the station's antenna but increase its power from 55 to 80 watts. W286AM was Murray State's first Tri-State entry, and it was joined earlier this year by WKMD (90.9 FM). Both stations air separate programming; W286AM is classical music, while WKMD offers a fuller public radio program lineup. Today's column in the Courier & Press is now posted and ready to read. You'll get the latest on the radio ratings picture, Dish Network's HD channels, another possible new low-power TV station and the latest on RTV. Indiana RadioWatchreports that Mark Thomas, who was in charge of Townsquare Media's seven radio stations in the Tri-State, has moved to Grand Rapids, Mich., to run the company's stations there. LaDonne Craig, the local stations' sales director, is now also listed on the stations' websites as general manager, although I do not yet know if this is a permanent move. UPDATE, 6:55 PM: Reader JBetner informed me that Domine was asked to retire by WAVE station management. On his Facebook page, Domine confirms that this is indeed the case, and that saddens me. A good many folks in the eastern part of the Tri-State are probably familiar with WAVE3 chief meteorologist John Belski and sportscaster Bob Domine. The Louisville NBC affiliate announced today that both men are preparing to retire. ON FACEBOOK: More area stations' pages added ... check 'em out! If you've not checked out JDTVB's Facebook page yet today, when you do, you'll find four more stations' pages have been added, bringing the total of pages I've linked to (not all are TV and radio related, but favorites of mine personally) to 66. New today are pages for WITZ AM & FM (Jasper/Huntingburg), WRUL (Carmi), WFIW AM & FM and WOKZ (Fairfield) and WEBQ AM & FM (Harrisburg/Eldorado). Be sure to take a look at these and all of the Facebook pages at JDTVB's page today! UPDATE, 5:45 PM: NEWS 25's Home Team Friday Live website has been refreshed and is now up and running. The NEWS 25 Sports Channel begins its live coverage of the weekly big high school football match-ups on Friday night. The first “NEWS 25 Home Team Friday Live” Game of the Week is Reitz at Henderson County. Live event coverage from Colonel Stadium begins at 7:30 PM CT on Friday night. The game will also be streamed live online at www.news25.us. The first game includes two teams coming off outstanding 2009 seasons. Reitz went unbeaten at 15-0 and won the 4-A State Championship in Indiana. Henderson County was 9-4 and the district champs in Kentucky. UPDATE, 5:55 PM: In my earlier post, I may have been too optimistic about the speed of FCC approval. I am now told that it may take somewhat longer to receive. When I know more, I will, of course, tell you. In late July, I told you that Evansville-Vanderburgh School Corporation's WPSR (90.7 FM, Evansville) was off the air for the purposes of installing a new antenna. Now the new stick is up and has been successfully tested, and WPSR's engineer emeritus, Frank Hertel, tells me today that all that remains is for the FCC to review the test data and allow the station to go back on air. That approval is expected next week, although it could happen by this weekend. If you missed KET's live broadcast of "Education Matters: Transforming Education in Kentucky" last night, you're in luck. The statewide TV network has now posted the program, which featured a discussion of how to improve education in the Bluegrass State, on its website. The network's press release follows. If you're a fan of the University of Evansville's WUEV (91.5 FM) and want to listen to the station online, I have good news. Now you can do that without downloading anything on your computer, thanks to new software the station began using earlier this month for both its low-quality (for slower connections) and high-quality feeds. I've tried it out this afternoon (in fact, I'm still listening) and it works nicely. When you go to the station's website, all you have to do is click one of the audio stream links and, at least in my case, Windows Media Player opened it right up. It doesn't get much better than that. Thanks, WUEV! When you've got a problem with your cable service, the first thing you do is call the company, right? And it's typical that the company's automated phone system will tell you that your call may be monitored or recorded for quality assurance. Such is the case with Insight, and in Louisville, those recordings have become a bit of a problem, as three employees were given CDs of recorded calls to take home. One hasn't been returned. It certainly is enough to give one pause when giving out personal information. Louisville ABC affiliate WHAS11 has the full story, and you'll want to be sure to watch the video below.